About a year ago I bought a house and moved in with my Other Half. After having a relationship for six years, we had thought that it was high time – regardless of the challenges that we knew would present itself during the adjustment phase. And, we had anticipated quite a few. We were and still are both two very singular people with our own rhythm and routines. We had also had to adjust from living a life between weekends, to finding the kind of balance that people needed to that saw each other every day. But, conversations weren’t always all we had. In general, like the exhausted, overworked adults of this century, we found ourselves mostly watching television at night. Over the past few years I had accumulated quite a few series that I wanted to get into and my Other Half was more than willing to share in the viewing experience. Of course, this became a habit and pretty soon – it was all we generally did. This was very new to me, certainly a big adjustment. I’ll be lying if I say that I don’t like watching television, but I’ve always tried to limit myself, especially during the week because I’ve been brought up to believe that it is a tremendous waste of time. They even preached it to us in school through teaching Roald Dahl’s The Reading Killer. Yet, because of life and the general rhythm of things, the television suddenly became quite a fixture in our daily routine. And secretly, I think both of us started to resent it. Having grown up as a reader, having gone through school with three or four books in my bag at a time – I hadn’t loved reading in as much as I had needed it. I had been fiercely protective of my time with my books. Like all reading children, I hid books on my lap in class, snuck them away between the covers of my textbooks and carried them with me always, as one would a weapon of self-defense. The only thing that made inroads into my reading time was my own writing. And in hind sight, even that was a minor sacrilege. Because I now feel that you cannot write if you don’t read enough to make you humble. And, hypocritically, I’ve been preaching it a lot. During November, my main message to my NaNoers are to read. To broaden their minds. To acknowledge the books that made them want to write. I’ve stood up in front of scores of people, cornered many an unsuspecting sitcom fan and unleased the passion of my thoughts of fiction. Yet, I had abandoned it for television. Something had to give and it all started with a really bad book. I will not say the title of it because this article isn’t a review in as much as it is a musing but – in January I downloaded a free book from Samsung Kindle and it… repulsed me. There wasn’t a scrap of originality in it, not a wink of creativity. It was loosely put together, slightly silly. Pretty much like every television series after Season Four. I had closed the book, deleted it from my phone and promptly started reading a book from Charles Dickens simply because I knew that it at least had proven its worth. It had substance. It felt alive. And it reminded me why I loved reading so much. The natural progression was to want more. I began digging into my own library again, finding the books that lay on my cupboard, half read, half forgotten. My Other Half began to follow suit and soon we found ourselves sitting in front of the television, staring at the images that were shown to us and realizing that we much preferred out own. The Conversation happened, a confession that we didn’t want to watch as much television anymore. The relief that followed was a release. We decided to make books a priority again, to feed our minds instead of simply using our eyes. I took to Goodreads and pretty soon, we had a reading list several books long. Sanctions were put on the television. We wouldn’t stop watching completely (because I can’t give up Blacklist…) but we decided to limit how much we watch. An episode a night at most. Two over the weekend. The result has been enlightening. After The Conversation we spend our Sunday lying in bed together, simply reading with our dog and cat wedged in between us. Silence drifted through the house but it wasn’t uncomfortable. It was the kind of silence that people had when they were content. When they were being transported into other worlds. I’ve missed those worlds and my soul has taken to reading like a body to food after a fast. With the act reborn, with the hobby retaken, reclaimed, I look forward to every moment that I can have a moment. Where I can steal a breath to turn a page or two. I will not put my book down easily again. 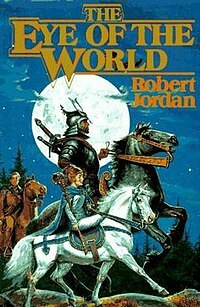 I’m currently reading Robert Jordan’s The Eye of the World, the first book in his Wheel of Time Saga. 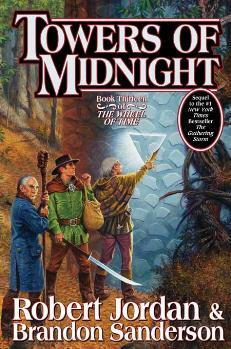 I’ve rediscovered my love for the series after I saw that the latest book, Towers of Midnight. Rereading the Eye of the World is like a pleasurable journey. A slow one, because I don’t have a lot of time to read, but not one I’m in a big hurry to end. The thing is, because I know how the book ends, I’m not too worried to reach it and I can take my time with the proverbial ‘scenery’ so to speak. It’s like wearing a pair of old, comfortable clothes that I’ve forgotten about, or riding a horse that I’m very used to. I’m enjoying the story for the love of it, not because it’s new or exciting. I enjoy it because it’s a part of me. 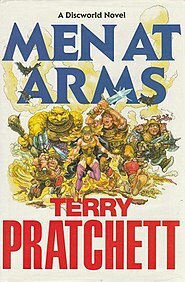 While reading this, I’m ‘catching up’ so to speak, with the characters that are all like old friends of mine. Two of the characters in particular have leapt out at me and if it was possible, I’d have run to them and embraced them for I have missed them more than the others. One of these characters is a woman called Nynaeve al’Meara, a young village healer approximately my age at the start of the tale. She’s a fiercely strong character, (with many flaws I admit), with a terrible temper (someone’s described it as being able to split bullets) but a sense of loyalty towards her people that runs so deep she takes personal offense if anybody touches those she considers to be hers. I love reading about her especially now because I have the insight to realize what becomes of her, what role she plays in the book and how she matures into her part. I was frightened when I first read the books that Nynaeve would fade to the background because she’s introduced as a side-character but – as it turns out, whenever there is something really important that needs to be done, Nynaeve is the one to do it. She learns through these books about herself, about life and about the price of duty. She learns to love, to hate and to forgive herself for her mistakes (sometimes). I find myself hoping that, like Nynaeve, I’ve learned the same in the past couple of years.